Popeye ran from our yard in Crete, Illinois. He is very skittish but food motivated. 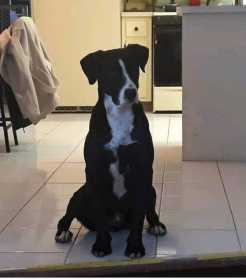 Black and white lab mix with border collie. We miss him so much.